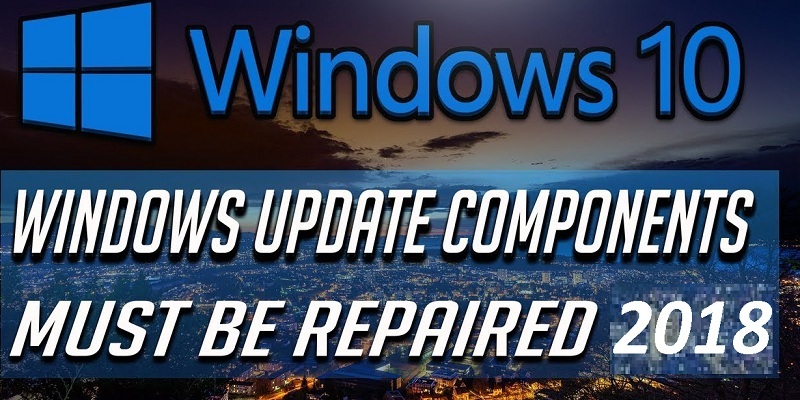 Are you looking for a solution for how to increase RAM in PC using hard disk space Windows 10? 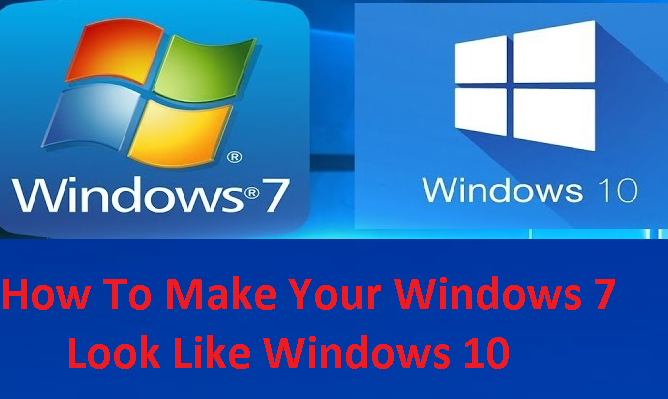 You are at the right place, we are here to help you out with the best solutions, how to increase RAM Windows 10 with the use hard drive as RAM Windows 10. The old PC’s will have low RAM and there is a need to supercharge your system by setup of virtual memory with the help of HDD (Hard Disk Drive). 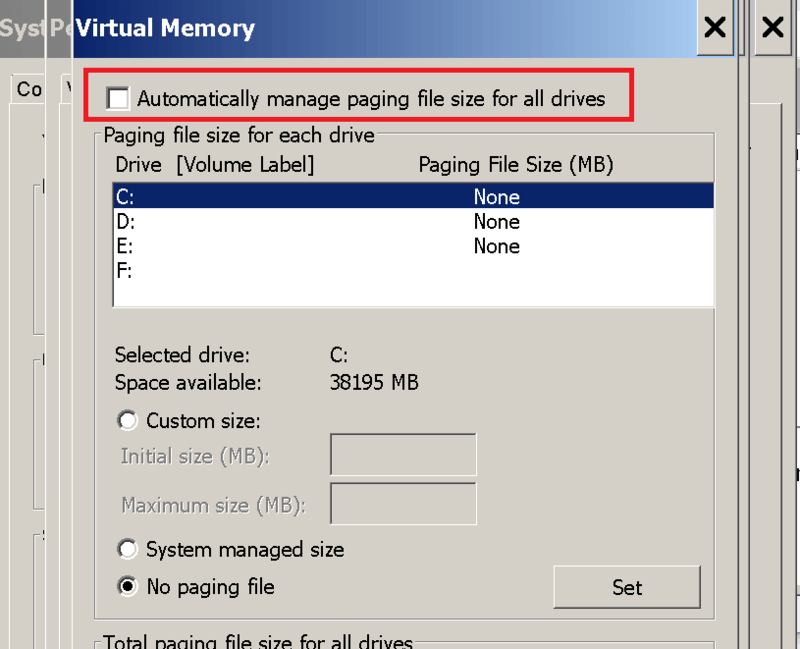 Page file or paging file is nothing but the virtual memory that is stored in the system file. 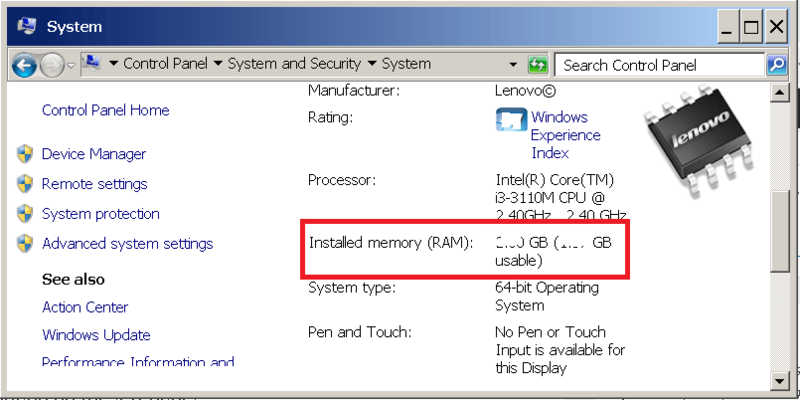 The virtual memory is mostly used in two situations, one of the situation is Windows uses complete RAM i.e. available physical memory, the other situation is when all the programs are inactive for some time. The complete RAM usage mostly occurs in the older system that has low RAM. When the system has no physical memory, the generated data must go somewhere. Here the paging file comes into lime light, Windows is able to use the paging file as the physical memory. Paging file will save the computer from struck and you will be able to run the programs without any worries. The other situation of the use of virtual memory is when the programs are minimized or not in use, those data will be moved to virtual memory from RAM for making space for other processes and programs. This will help the system to run even more faster and smoother. You should not disable paging file even though your system has enough physical memory. 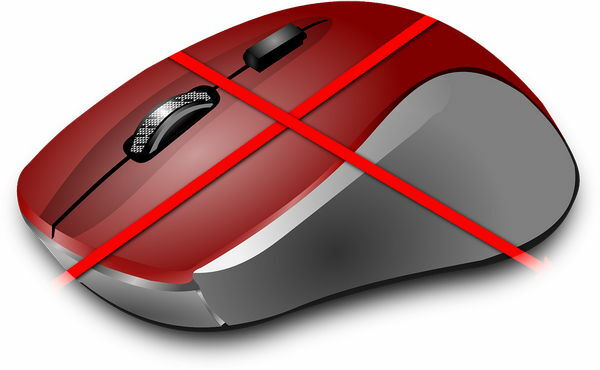 If you don’t have not enabled virtual memory then your system encounters errors, your system slow downs, and regularly crashes that results in data loss. The above given same situation occurs, if your computer paging file size is small. Some of the programs will work effectively only when the system has enabled paging file. You should not give the paging file more value as it will also cause problems. Because it will use most of your hard disk space. The more value to paging file also results in more data loading into virtual memory. when your system is running, the programs will allocate in paging file and that will result in slowing down the speed of the PC. So, your system should have the paging file according to the RAM memory of your system. For Example, if your system has 8 GB of RAM, it can use maximum memory of 12 GB, so on calculation use at least 5 GB to paging file. So, finally it will have 8 GB + 5 GB that equals to 12 GB of RAM. 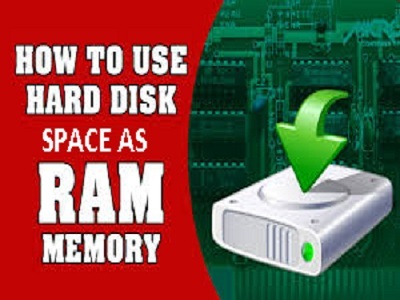 Here, you will know clear step by step process to increase RAM in PC using Hard Disk space. This will help you to increase the speed of the computer with a little bump in the performance. Follow the below process to increase RAM in PC using Hard Disk space Windows 10. Before setting the virtual memory, initially know your system needs of memory. The most easy way to open the task manager is ctrl + Alt + Del. The most common way to open any program is through Windows search. 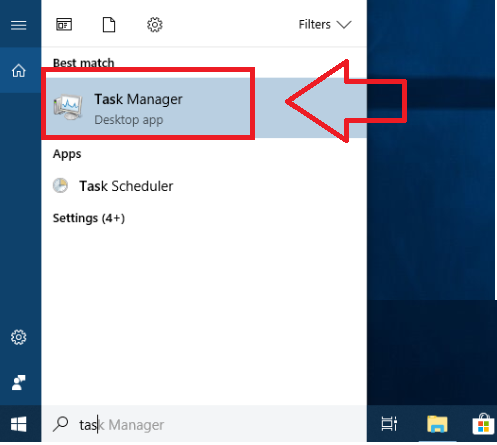 Click on start or Windows button and search for task manager as shown in the figure. 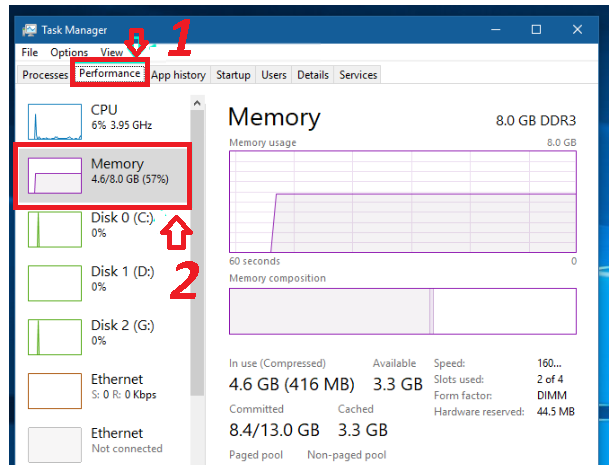 Once the task manager is open, click on the performance tab and next click on the memory option as shown in the figure. 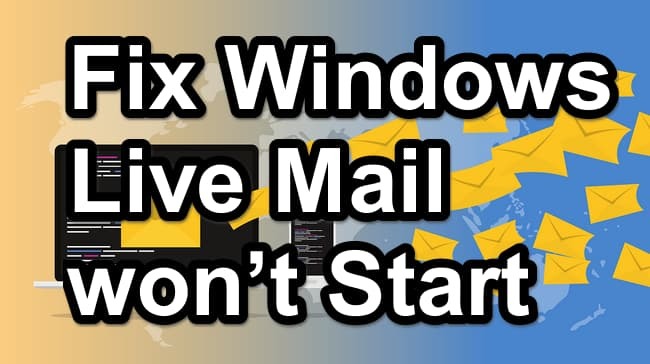 Now, open the programs that you will use most frequently in your system like Google chrome, Microsoft word, and music player. In case open a game, or any other programs that you will use regularly. After opening all these programs, if your system is working unstable then there is an urgent need of more virtual memory. While all the opened programs running, check the task manager under committed section which is the combination of what’s in use along with what’s available. If both the values are close, there is a need to increase your virtual memory. For example, you are having 8 GB memory, your system’s already set virtual memory is 2 GB increase it to 4 GB for better performance. 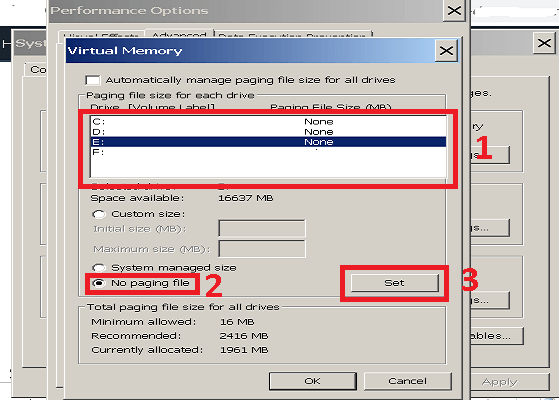 Initially, as mentioned in the above sections you have to know about the memory you need to set on the paging file. For 8 GB, the virtual memory can be almost 4 – 5 GB, for 4 GB the paging file memory can be around 2 – 3 GB. Follow the below process for setting up virtual memory. 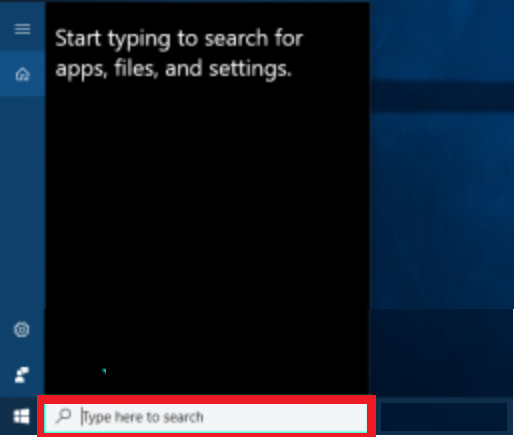 Open the search box on clicking Windows + S key’s from the keyboard. Type control panel and click on the first option as shown in the below image. 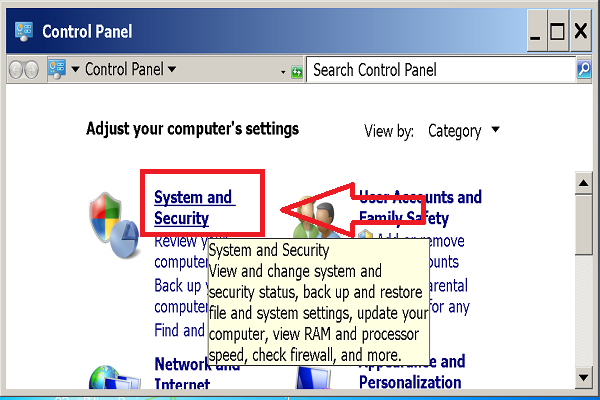 On the new Window, click on system and security option. Now, on the next screen click on the system as shown in the picture. 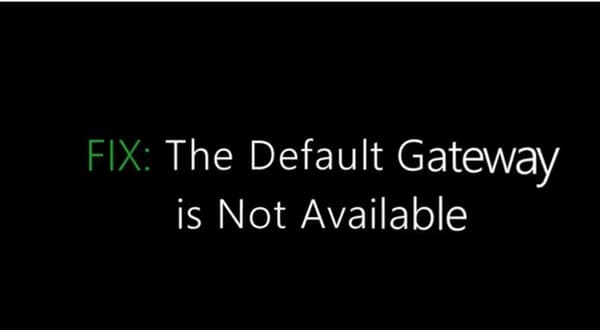 You have entered into the system page, here you can check the RAM of your system. 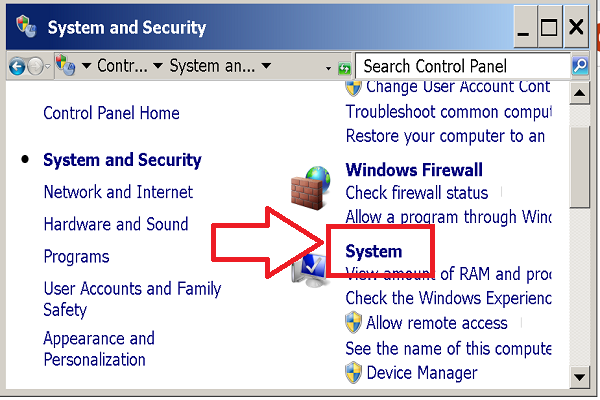 After checking the RAM of your system, click on advanced system settings option on the left panel. Now, navigate to the advanced tab and under performance option click on settings. 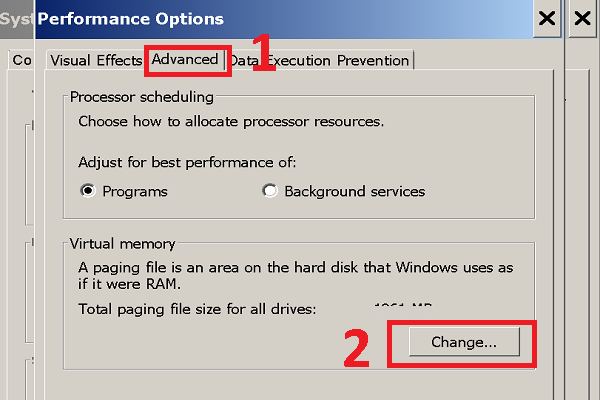 A new pop-up window opens, under virtual memory category click on change option as shown in the figure. On the next screen, setup the virtual memory according to your RAM and your system requirements. If you don’t have any idea of dealing with setting up of virtual memory, leave it for system settings as the system knows better about it. If your system has single drive, the paging file will automatically set to that drive as there is no other option. The below steps will let you know how to set paging file automatically to system settings. 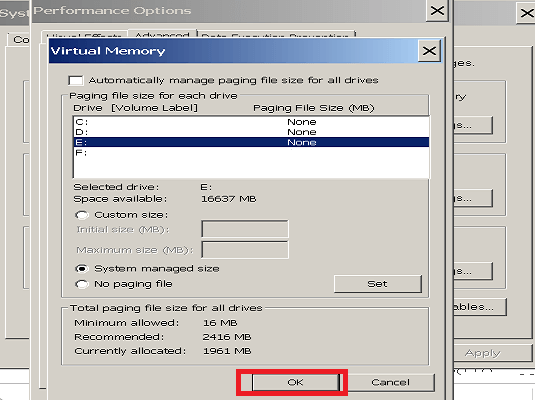 This is the continuation of above process, after opening virtual memory window, click on the top box as shown in the figure to give system permission to set the paging file. After completion, click on OK button. Finally, click on ok button on the prompt window to restart your computer to make changes take effect. Now, click on ok button for all the remaining windows. Lastly, you will get a prompt window to restart your computer now or later. 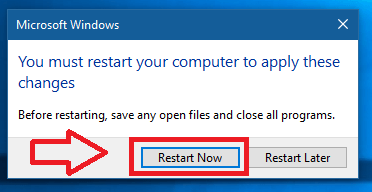 To restart your computer now, close all the open windows and click on restart now button. Else, if you want to restart your system later click on restart later option. Choose any one of the option according to your requirement. If you are having multiple drives, set the paging file to other SSD which don’t have Window’s on it. If you only have HDDs, then assign the paging file to the drives that don’t run Windows. The process of arranging the paging file for both SSD and HDD is same. 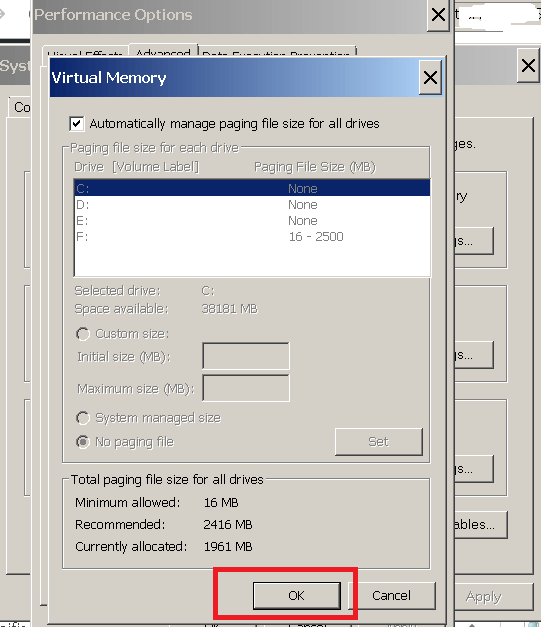 You should go to the virtual memory window as shown in the setting up virtual memory in the above steps. Un – tick or de – select the option automatically manage paging file size for all drives option. 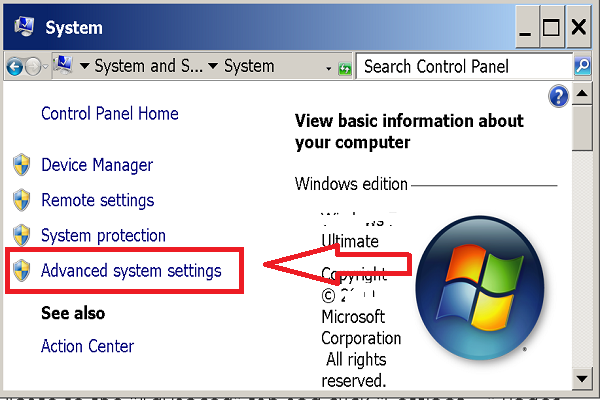 Now, click on the drive that you want to set the paging file, select on the system managed set and click on set option. 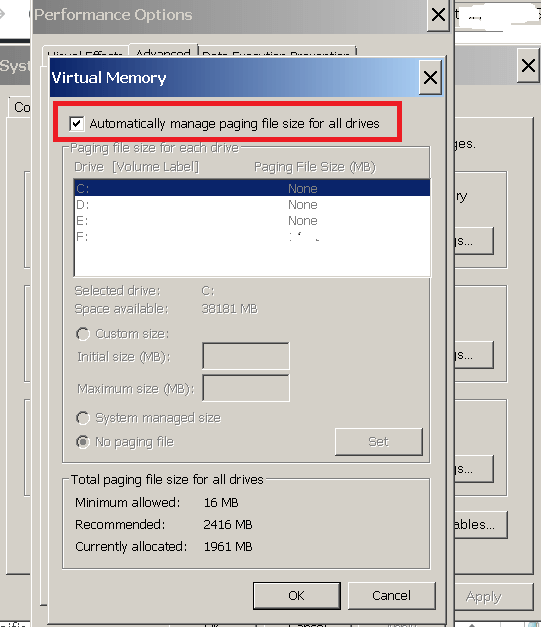 For set of the drives, select the no paging file option and click on set option. After completion of setting paging file, click on ok button as shown in the figure. Now, you will get a prompt window that shows to restart your system. Click on ok button. Next, click on ok for all the windows that are opened. Now, choose to restart now or later as per your wish. 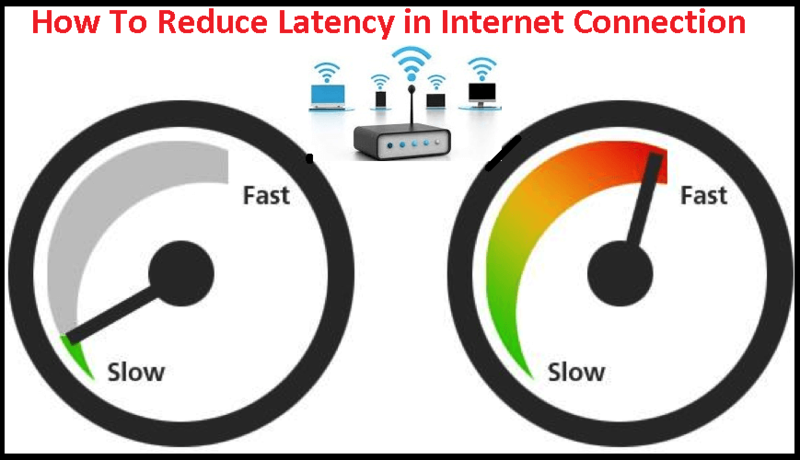 If your system is not working fine with the automatic virtual memory setting, manual setting is the best way to increase your system performance. 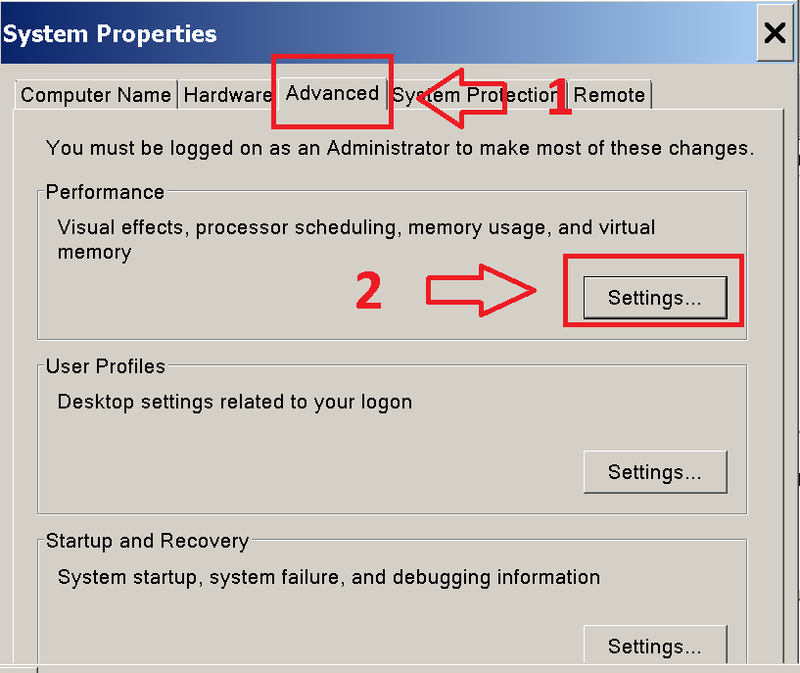 Go to the Virtual memory Window as shown in the above steps of how to open virtual memory window. Make sure that the automatically manage paging file size for all drives is not un – selected or blank as shown in the image. Initially, select the drive that you want to set the paging file. Next, click on customize size option. Now, enter the initial size and maximum size of the paging file. For example, minimum should be 16 MB and maximum varies from 1024 to anything based on your RAM memory size. You can set other drives as no paging file option and click set as shown in the figure. Next, click on the ok button to save the manual changes made to your virtual memory. 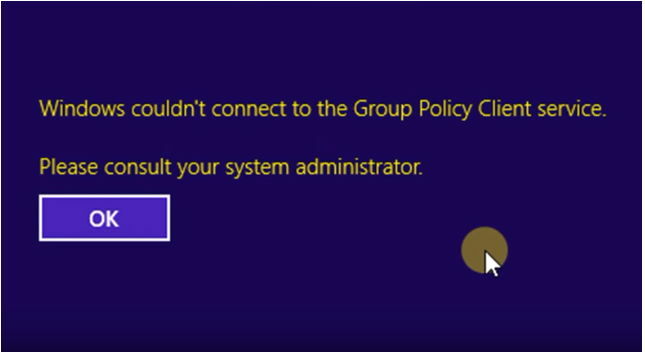 Now, prompt window shows about the need of restarting the computer. 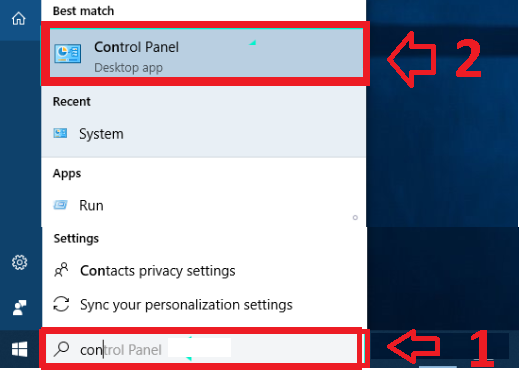 Click on ok.
Click on ok button on the rest of the opened windows. Now, a prompt window opens to restart now or later option. Select either of the option according to your wish. But if you choose to restart later, don’t forget to restart as early as possible. The manual exact paging file size will be possible with trail and error method. 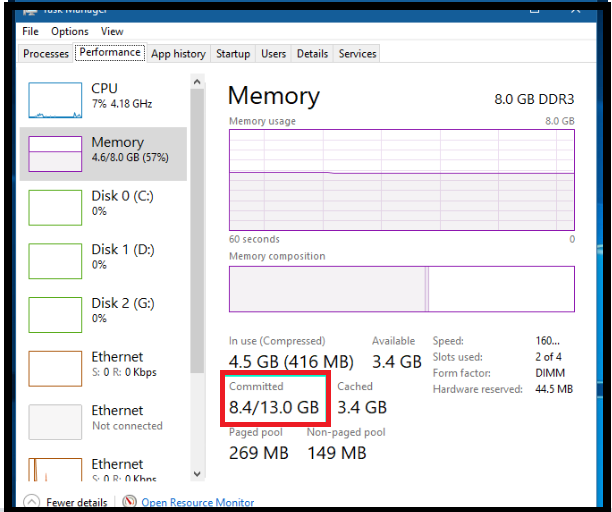 How To Increase RAM In PC Using Hard Disk Space Windows 10 is useful to boost up your PC performance and speed. The steps and process looks simple but they are some what tricky, to avoid confusion follow each step with utmost care. If you have any queries or require any more information, let us know in the comment section. We will get back to you out at the earliest possible.